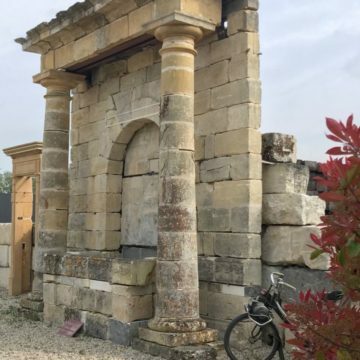 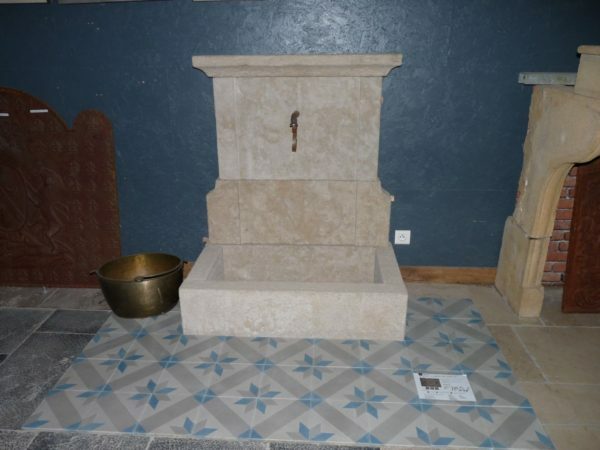 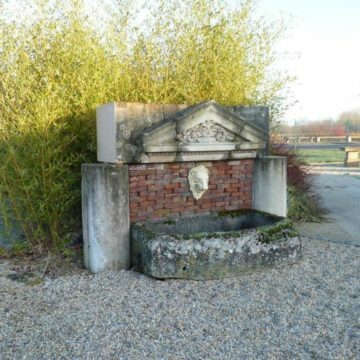 Wall fountain with pool in limestone. 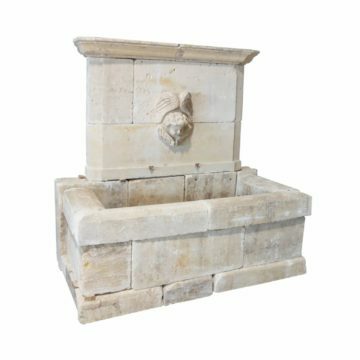 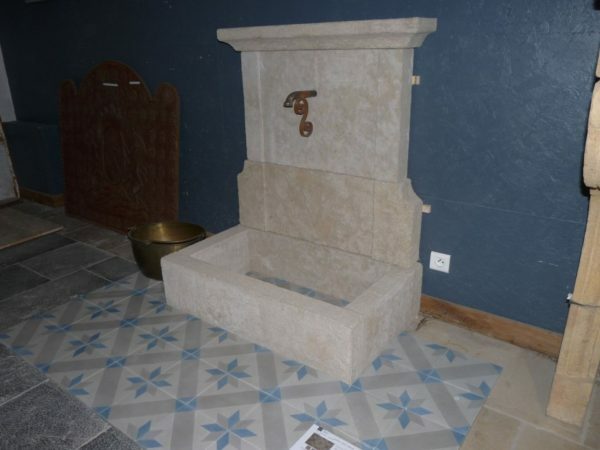 This new wall fountain in natural limestone has a rustic “antiqued” surface finish. 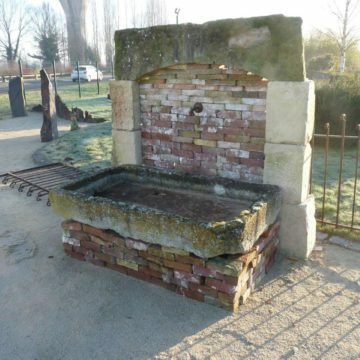 It can be installed inside or outside. 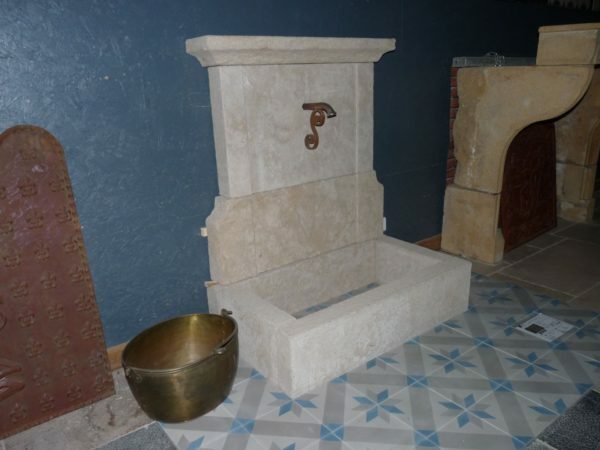 It has a spout, as shown, which will need to be correctly plumbed in.